A former California resident was arrested in Las Vegas in August 2013 on a Reno warrant charging him with several kinds of theft charges and mortgage fraud. The Nevada Attorney General’s office cautioned that his alleged $300,000 fraud might only be the tip of the iceberg, and other victims might yet come forward with further accusations. The defendant was alleged to have taken fees for mortgage and real estate services, which he then failed to perform. He also told victims that he had the requisite professional licenses to do real estate and mortgage work for them when he did not. The Federal Bureau of Investigation (FBI) noted that skyrocketing home foreclosures have led to a deluge of mortgage frauds promising fearful homeowners help through phony foreclosure rescue schemes or other plans designed to take advantage of homeowners. Because of the upsurge in this type of crime, federal and state agencies are devoting more time and effort to investigating and prosecuting alleged mortgage frauds. Mortgage fraud is a specific intent crime in Nevada. This means you must have engaged in one of the many kinds of mortgage fraud commonly committed with an intent to defraud someone. A harried office worker who suffered a wage reduction, and who while rushing to fill out a mortgage application accidentally listed last year’s higher salary on the refinance forms has made a simple mistake, and is not someone acting with a specific intent to defraud. Real estate industry insiders ― bank officers, appraisers, mortgage brokers, realtors ― are knowledgeable professionals who courts are less likely to believe made a forgivable “mistake.” As professionals, they are held to a stricter standard. In such cases, the prosecution still has the burden of proving every element of the crime beyond a reasonable doubt. For that reason, it is best to consult with an attorney before making any statements to the FBI or local law enforcement as it may turn out that the evidence (documentation and witnesses) is slim or nonexistent. Even if there is sufficient documentation or apparently reliable witnesses, your attorney can determine if the documents were legally seized pursuant to a valid search warrant or if the witnesses have been promised immunity or other benefits for their testimony against you. 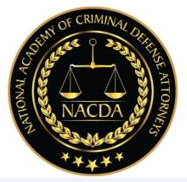 Anyone under investigation or facing prosecution for mortgage fraud should immediately contact a seasoned criminal defense attorney in Nevada who has the skills to defend both state and federal prosecutions.